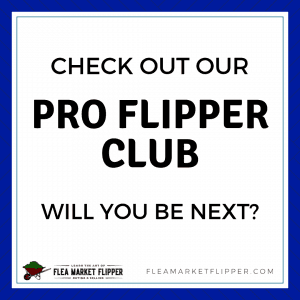 It's a new year and a time for a new flipping challenge! 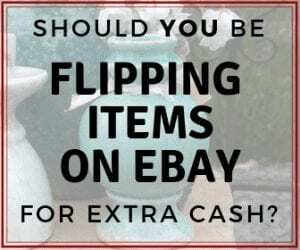 2018 is now behind us, and it's time for the 2019 Flipping Challenge! 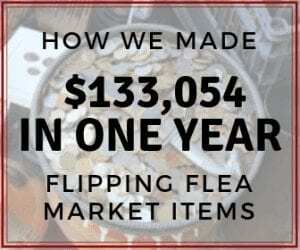 Last year's flipping challenge didn't quite end up how we had planned. 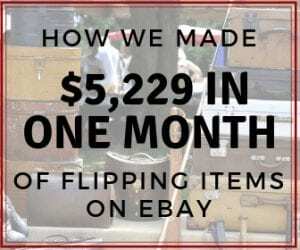 Once the last items sell we will have made close to $4,000 from $5, but we know we can do better! Check out our recap of the 2018 challenge to see the mistakes we made last year that we won't repeat this year. ✔️Tally Up Your Profits At The End Of The Year! 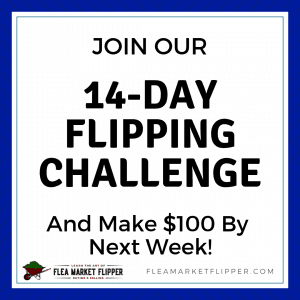 We started our 2019 Flipping Challenge last week! 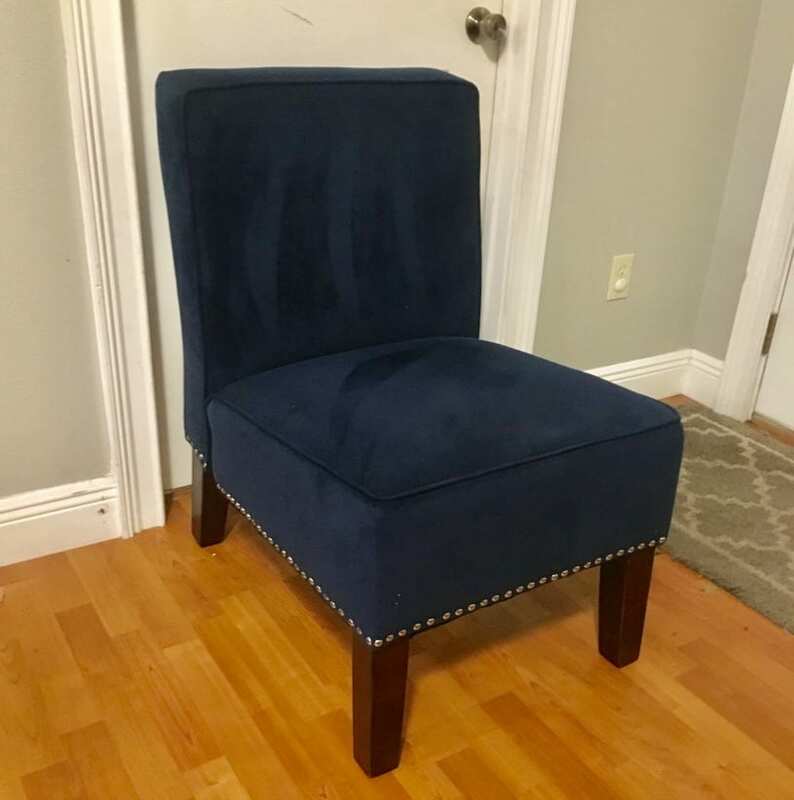 We picked up an accent chair from the side of the road one night. We spotted it on one of our evening walks and didn't understand why such a beautiful chair was in the trash. It turned out to have one broken piece of wood underneath, but it was a fairly simple fix. It took me about 10 minutes to find a piece of wood in my garage and attach it to the chair. We listed it on Facebook Marketplace and sold it for $50 in just a few days! 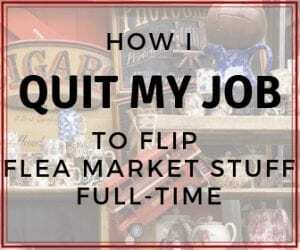 So onto the next flip! 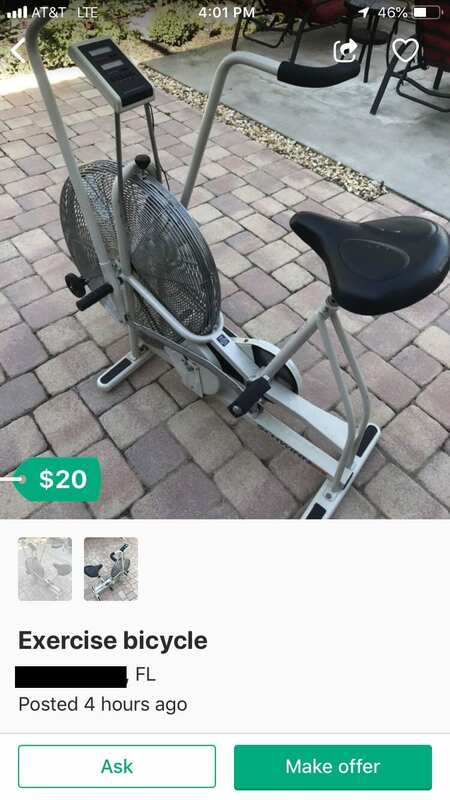 I found this exercise bike on OfferUp yesterday, so I offered them $15 and they agreed. I picked it up and now it's listed and ready to sell. I'm hoping to get about $200 out of it. So there is the start to our challenge! Are you ready see how much profit you can make by the end of the year? Accept the challenge.